Fox Tea Club has provided me with Watermelon for the purposes of providing an honest review. Autumn has been settling in quickly around here over the long weekend (it’s Thanksgiving in Canada), but let’s pretend it’s still summer for just a day, shall we? 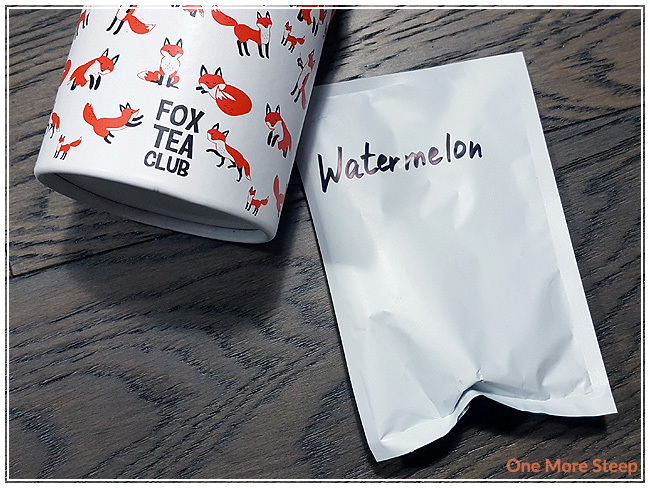 Watermelon from Fox Tea Club came to me in plain sample packaging with the name handwritten on the outside, and this fruit infusion smells remarkably like watermelon juice despite the lack of watermelon in the ingredients list. It’s pretty amazing how much the smell reminds me of a sweet, juicy slice of watermelon on a hot summer day. Watermelon consists of cherry, foxberry, hibiscus, rose and rosehips. Curiously enough, the product page for Watermelon on the Fox Tea Club website mentions bilberry in the description at the time of writing. Unfortunately, there were no steeping instructions provided for Watermelon. 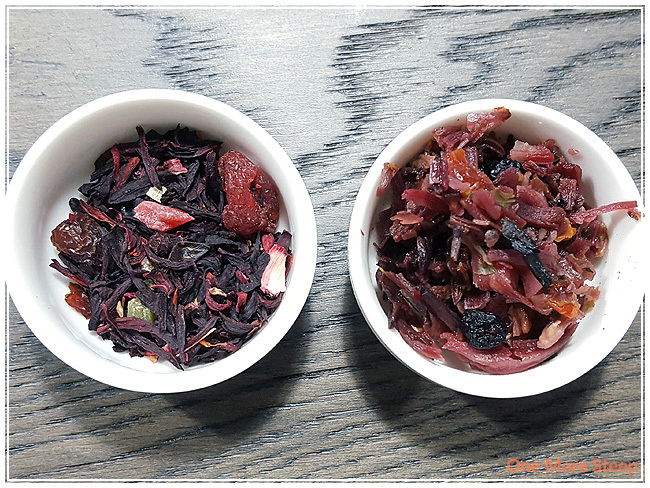 I opted to do my initial steep of this fruity tea at 100°C (212°F) for 5 minutes. 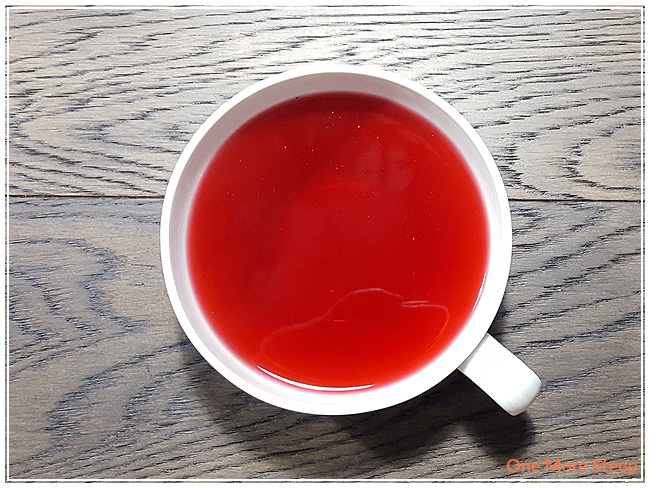 Watermelon steeps to a brilliantly deep ruby red colour – likely due to the combination of all the red coloured ingredients (and the hibiscus!). 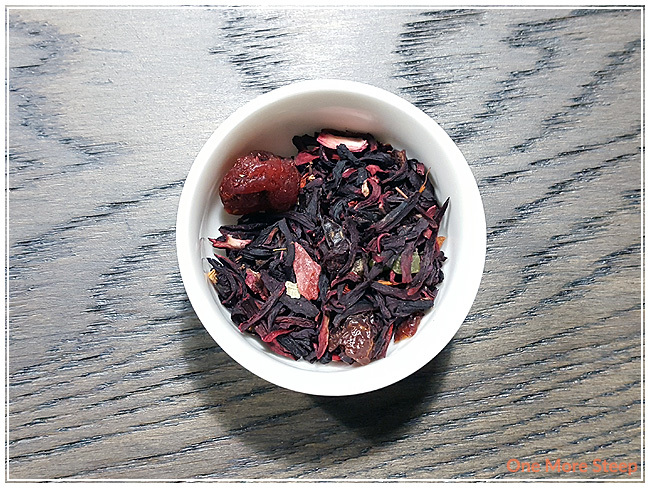 The smell that comes up from this fruity infusion still reminds me of watermelon fruit, but has a bit of a tart aroma that I attribute to either the cherry or the hibiscus. 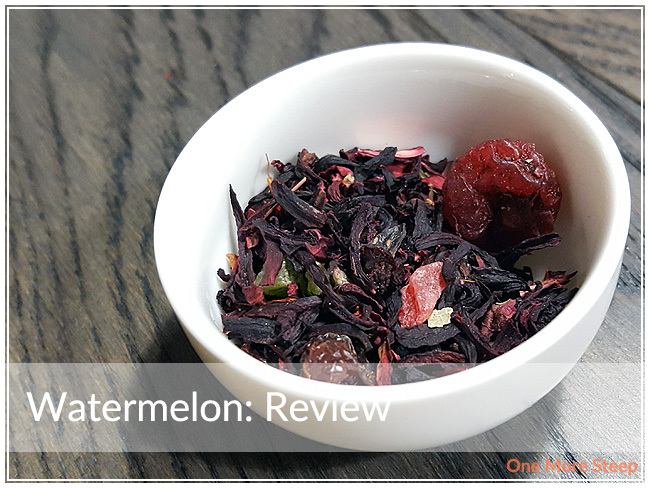 On first taste, I can see why Fox Tea Club gave this fruit infusion blend the name Watermelon. It has a refreshing taste and just a touch of tartness that rivals the sweet. I can taste the cherry and the hibiscus. Despite lacking in actual watermelon in the ingredients, the flavours that are the result of the blend is still reminding me of watermelon – just not as sweet as the actual fruit would be. Fox Tea Club recommends this infusion as iced. I did try it cold and found that I enjoyed it hot more. The tartness from the hibiscus was more subtle when the infusion was iced. If you’re not a huge fan of how tart the hibiscus is, a touch of honey or another sweetener helps fix that a bit and brighten up the fruity flavours. I did attempt to resteep Watermelon, but found that both the colour of the infusion and the flavour was lacking. I would say that Watermelon is good for just one steep. I loved Fox Tea Club’s Watermelon. It has a beautiful aroma and the flavour of this fruit blend is delicious and very similar to actual watermelon. I think that most people would probably be less picky than I am and enjoy this fruity infusion iced or cold, so it’s definitely a contender for those who are experiencing warmer weather than I am at this moment in time. I just find it so remarkable how much this blend reminds me of the smell and taste of watermelon.